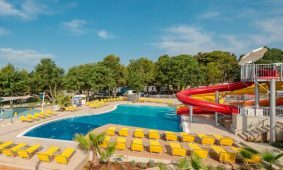 Dive into the blue oasis of a swimming pool, have fun or relax under the sunrays in the swimming pool sunbathing areas. 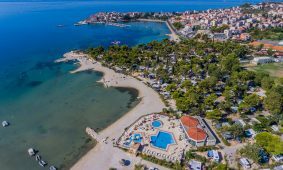 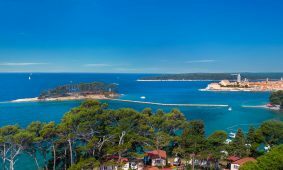 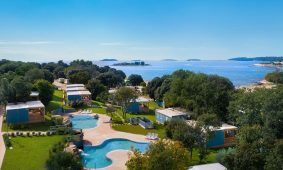 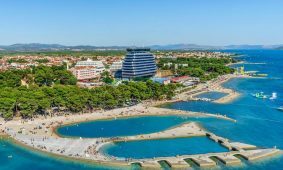 The majority of campsites on the Adriatic coast have at least one swimming pool. 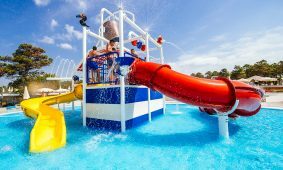 Some campsites have heated swimming pools, swimming pools with either fresh or sea water, children’s swimming pools, wellness pools with various water effects, waterfalls and geysers. 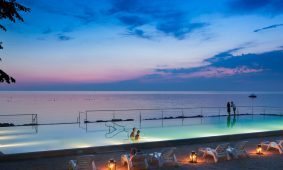 Feel the energy of the sea water and enjoy yourselves in infinity swimming pools, from where incredible views spread across the sea, which brims over from them. 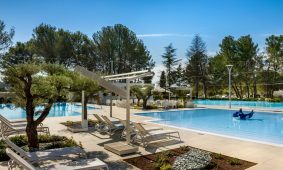 We bring you the list of all campsites with swimming pools – find yourselves among them and relax.